"A Force Of Nature: Lucy Braun" repeats 6 p.m. Sunday, April 7, on WCET-TV. The one-hour film about E. Lucy Braun, an ecology pioneer and University of Cincinnati professor, will be distributed to over 100 public TV stations by the National Educational Television Association. A Force For Nature: Lucy Braun, which premiered Oct. 7 on WCET-TV, was produced by Meg Hanrahan of Madeira and Voyageur Media Group, a nonprofit organization which creates media about science, history and culture. E. Lucy Braun was a University of Cincinnati botany professor. WCET-TV repeats the show 6 p.m. Sunday on Channel 48. It will also air on Dayton's WPTD-TV (Channel 16) at 3 p.m. Sunday, April 21. Kentucky Education Television (KET) will repeat the show throughout the year on KET3/KY. A Force of Nature will air in Columbus at 10 p.m. Monday, April 22 on WOSU-TV, and at 10 p.m. Tuesday, April 23 on WOSUplus Channel 34.3. Braun, a Cincinnati native who died in 1971, was a nationally known botanist and conservationist who helped preserve the forests in Southern Ohio and Eastern Kentucky, including the Edge of Appalachia Preserve System in Adams County. The film tells how Braun and her sister, Annette, traveled 65,000 miles to study plants and insects in more than a dozen trips across North America. 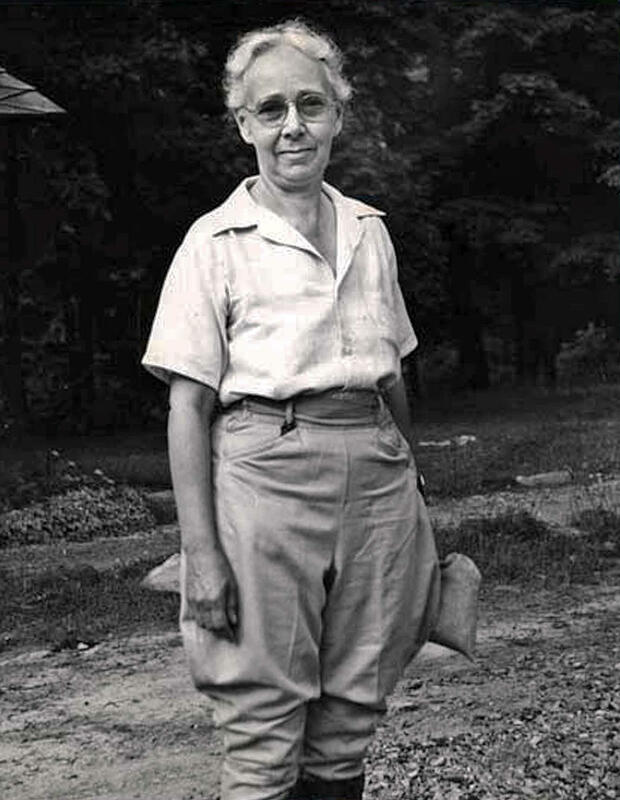 Lucy Braun published Deciduous Forest of Eastern North America in 1950, which documented forests from Florida to Canada. The Braun sisters left a collection of 1,700 photographs documenting ecosystems in the Appalachian Mountains, Florida swamps, Arizona deserts, the Rocky Mountains and the East and West coasts. All have been digitized by Voyageur Media, with help from the Cincinnati Museum Center, the Anness Family Charitable Foundation and the Public Library of Cincinnati and Hamilton County. Here's a link to my October story with more information about Braun and the producers. WCET-TV's Action Auction, one of the city's largest fundraisers for 51 years, will be combined with Dayton's Great TV Auction later this month by Public Media Connect (PMC), the regional media partnership established 10 years ago by the Cincinnati and Dayton public TV stations. As a kid, Meg Hanrahan loved family vacations in Shawnee State Park, where she roamed the lush forests of Southern Ohio. Maybe you did too. Or love to do it today. Then you need to set the DVR for A Force For Nature: Lucy Braun airing 6 p.m. Sunday, Oct. 7, on WCET-TV.